Panicum, also known as switchgrass or panic grass, has about 400 native species; they were an integral part of the North American tall-grass prairie, and are long-lived. 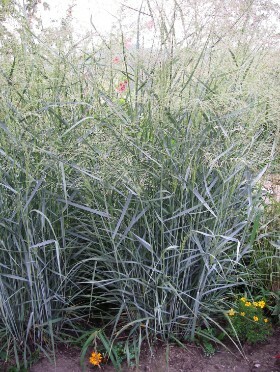 They are all warm season grasses, blooming late in the summer, and the varieties we grow are all clumping. They all have sturdy stems, lasting throughout the winter, and provide important protection for our birds in the spring.